Every year at SolidWorks World during the Wednesday General Session, users get a preview of what is coming in the next version of SolidWorks. Its an event that many look forward to and is a great way to cap off the week. So…here we go! 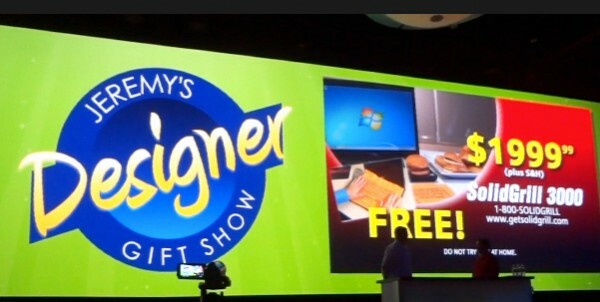 As in past years the new features were presented in the form of a skit. This year’s skit was “Jeremy’s Designer Gift Show” which was a parody of a home shopping channel show. As usual the skit was hilarious! 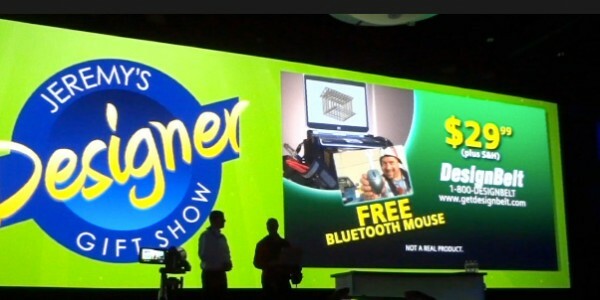 Three “make believe” products were “featured” on the show. The first product up was the “SolidGrill 3000” with its designer Neil Cooke. 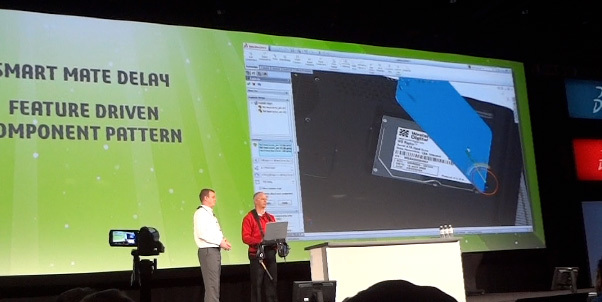 While demonstrating that a computer can indeed double as a grill, Neil was able to show off a few new features coming in SolidWorks 2014. 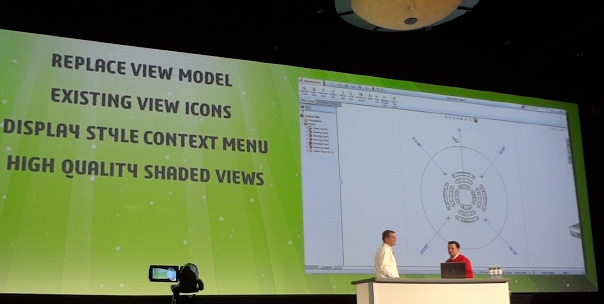 Replace View Model – This new feature allows you to replace the reference for a given view or views inside a Drawing. Once you bring up the feature inside a Drawing, select the view or select the checkbox for all views and browse to replace the model. All of the dimensions and annotations are preserved. Existing View Icons – When you access the View Pallette in Drawings, SolidWorks will display an indicator (icon) as to whether or not the view is already placed in the drawing. Split Table by Row Count – In SolidWorks 2014 you will be able to split a Bill of Materials in a Drawing by row count. When you add components to an assembly, the setting is retained and the BOM will continue to split based on the number of rows you set. Sunlight and Sunlight Animations – Sunlight is a new lighting option in the Appearances tab. It allows you to enter your location, date, and time of day to get the accurate sunlight settings. (Wow…I was surprised it goes to that much detail!) You can also you PhotoView 360 to animate the changes in sunlight position. Network Rendering Animations – You can now use Network Rendering (which was introduced in SolidWorks 2013 for still images) in rendering animations. CircuitWorks Thermal Properties – CircuitWorks now supports Thermal Properties such as Specific Heat & Thermal Conductivity. The properties can be imported from ECAD files or manually entered. Link to SolidWorks Flow Simulation – SolidWorks Flow Simulation can use the above mentioned thermal properties established in CircuitWorks to runs simulations. This can reduce the amount of data input when setting up thermal studies in Flow Simulation. You have the ability to choose which CircuitWorks properties to use and which ones to ignore. Fixed Length Spline – Splines now have a fixed length setting that will force the spline to maintain a specified length as you drag the points of the spline around changing the shape. Style Spline – This is a new type of spline that yields a “higher quality” spline with more control. The control vertices look different than the existing spline tools. You can add relations and dimensions to the control vertices as well. The curvature comb of the Style Spline has less “bumps” and inconsistencies versus the older spline option. This is one of the tools that I can’t wait to try! Side note while we are talking about splines. 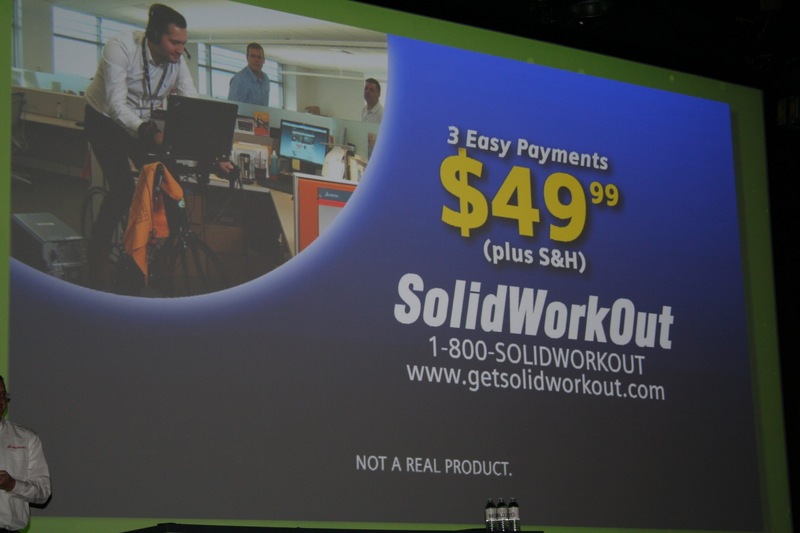 Rich Allen mentioned in the press conference after the General Session that there are also enhancements to the Surfacing tools coming in SolidWorks 2014. Reuse Existing Harness – You can take an exiting SolidWorks Electrical Harness and “reuse” it to create an new harness that routes to different points. Colored Connector Pins – Connector views will automatically populate the pin locations with a solid hatch that matches the color of the wire. This will make it easier for workers on the shop floor to identify which color wire goes in each contact position on the connector. Residual Stress from SolidWorks Plastics – You can now use residual stress information from SolidWorks Plastics in SolidWorks Simulation studies. 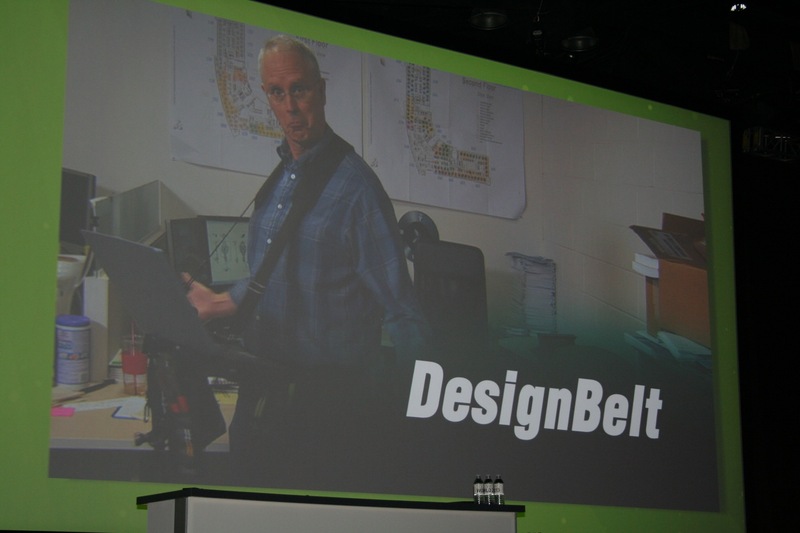 Mark Schneider was up next to show the “DesignBelt Premium”. This was a tool belt with a laptop attachment. Watching him hammer boards together on top of the laptop was pretty funny (especially when the laptop blue screened). Here’s what was shown in this part of the skit. Ok, now let’s talk about Environment Themes. You can setup “themes” which load only certain toolbars or tabs on the CommandManager. You can even add specific buttons to toolbars, hotkeys, or mouse gestures that are only present in that particular theme. This looks like a nice customization option. History Folder – The History Folder is located at the top of the FeatureManager and always displays the last five features you’ve accessed. 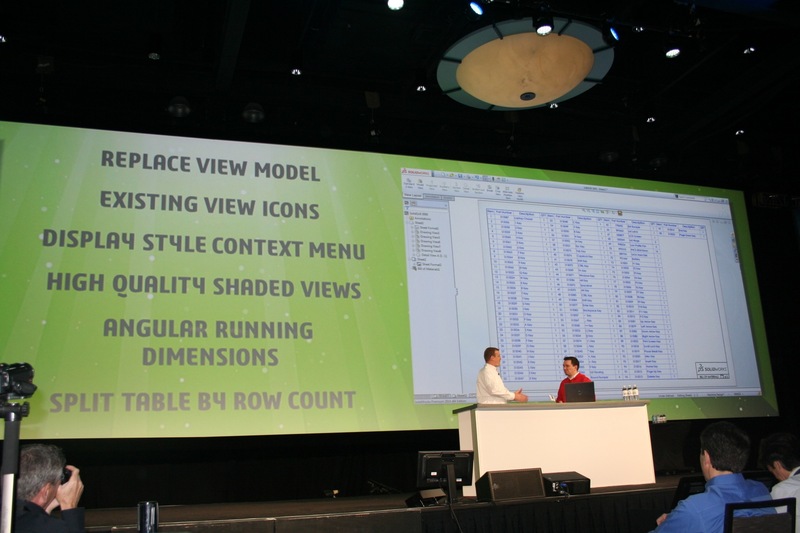 Flexible Assemblies Context Menu – The title here pretty much describes the new feature. You can now make a subassembly flexible by using new tools that pop up in the context menu. Streamlined Save As Copy – In SolidWorks 2014 you can do a Save As on an assembly and choose Save As Copy much like previous version. But there is a new option that leaves the new copy open. Within this interface, you can create copies of components all in one shot. (The UI looks very similar to what you get when you choose use Pack and Go.) When you use this tool, any upper level assemblies that were open when you performed the Save As Copy command will still reference the original model (not the copied one). 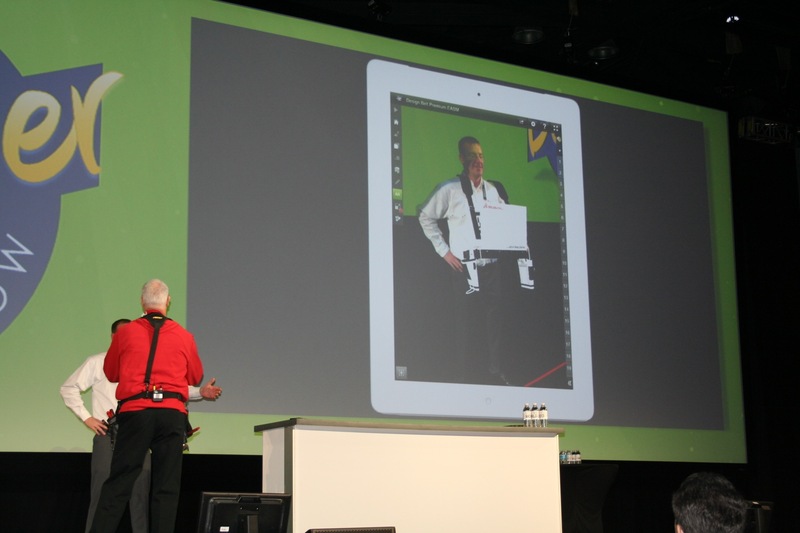 eDrawings with Augmented Reality – This was previewed last year at the SolidWorks 2013 press event. This tool allows you to superimpose your SolidWorks model into the eDrawings for iPad (or Android soon) by using the device’s camera. A QR code printed on paper is used to “locate” the model. Sheet Metal Corner Gussets – You can now add corner gussets to sheet metal parts. Options for this tool include impending depth, controlling each length, width, and draft. Gussets are automatically ignored when a sheet metal part is unfolded. Lofted Bend Transitions – You now have more control lofted bends in sheet metal. You can specify the number of bends in the loft through new options in the PropertyManager. The flat pattern of the part gives all of the break lines for the lofted bend. 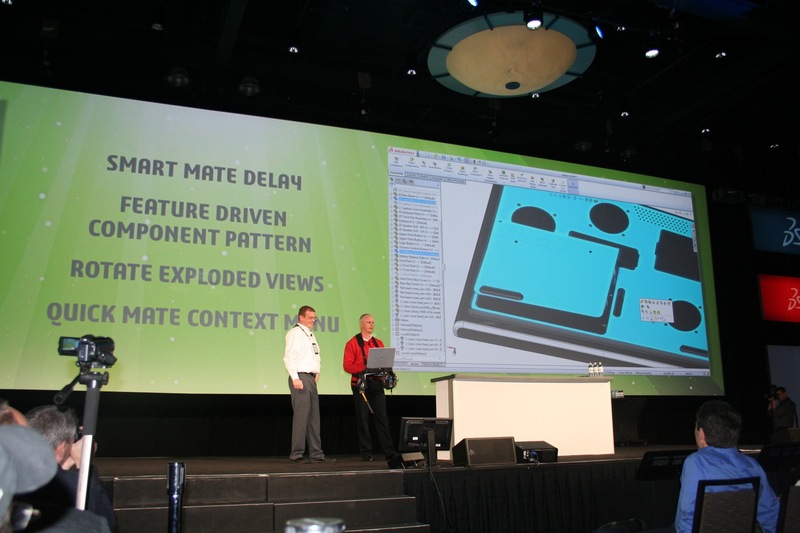 Smart Mate Delay – Smart Mates no longer immediately snap to any geometry you slide the cursor over. There is now a customizable pause period that waits for the mouse cursor to stop before attempting to apply the Smart Mate. You can set this period to whatever interval you desire. Feature Driven Component Pattern – You can now base new component patterns off of existing component patterns in the assembly. Rotate Exploded Views – You now have an option to rotate components in Exploded view. This can be used to rotate screws as you remove them from their secured position or move components angularly to its exploded position. Quick Mate Context Menu – This looks REALLY interesting. The context menu in assemblies now has the ability to display Quick Mate icons based upon your selections. It works very similar to the mate options available in the context menu of the sketcher. The Quick Mate context menu displays the most common mate types based upon your model entity selections. With this tool you can quickly mate components together without ever entering into the Mate command. 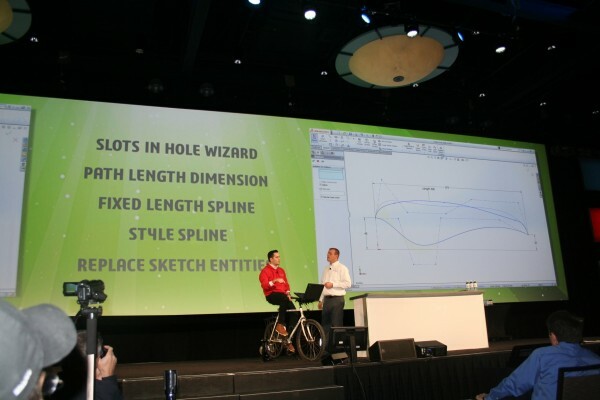 This was a pretty good list of features and as always, this isn’t ALL of the enhancements coming in SolidWorks 2014. 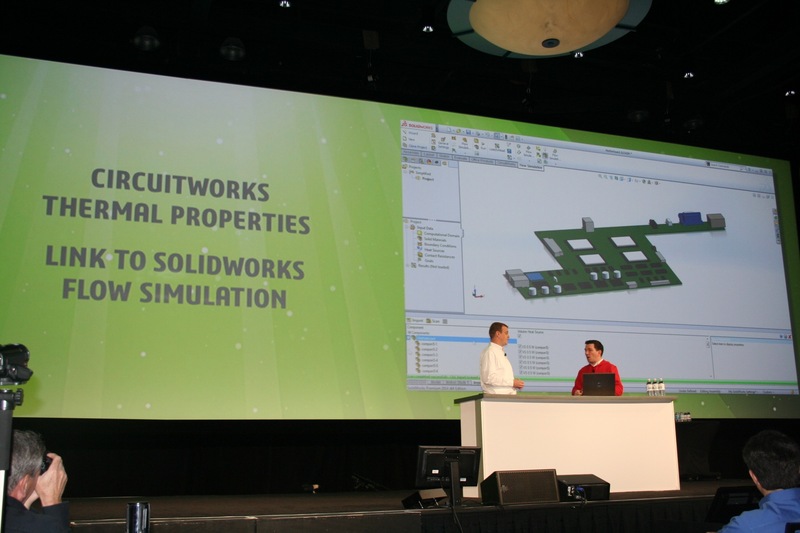 Look for SolidWorks 2014 Beta towards the middle of this year. Thats all for now. 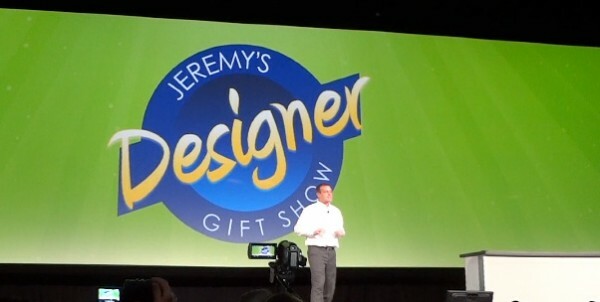 Stay tuned…more to come! 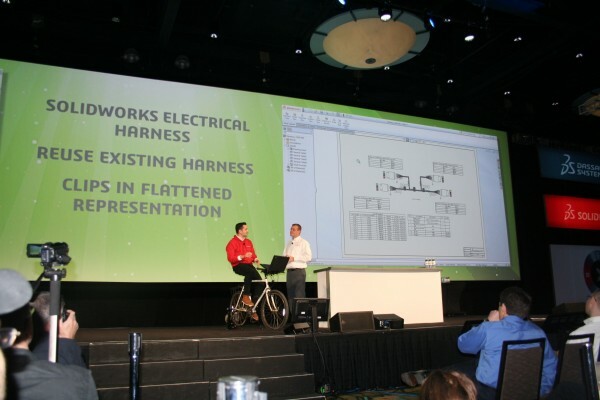 SolidWorks World – Two Weeks Away! Do you know if the “bleed through” problem is also fixed in the regular models? Don’t suppose they have sorted self intersecting sweeps and lofts out yet then? Congratulations! A well detailed post for SolidWorks. Very much helpful. Very good post about this SolidWorks, easy to understand and well explained! When will we have more? 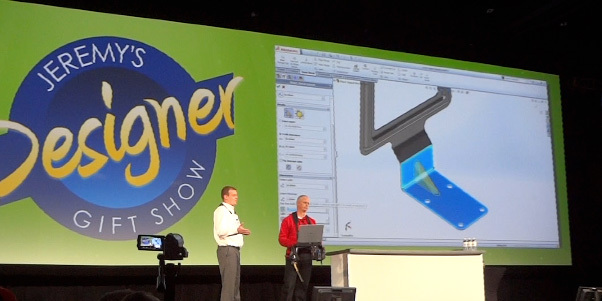 Very good post about this SolidWorks, easy to understand and well explained! 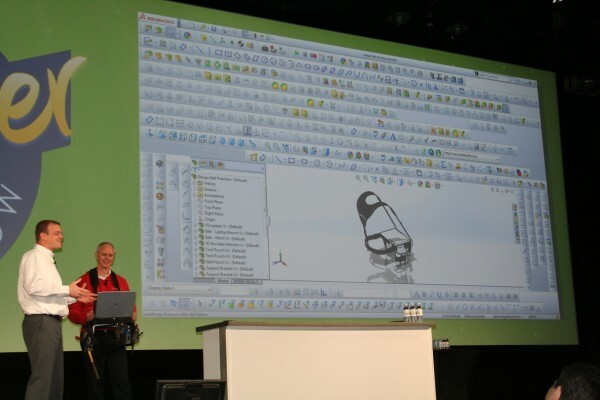 who have Solidworks can use their CAD system to save a wide range of popular file formats. Very good article, writings nice to read.